When it comes to growing herbs, Utah is a gardener's dream. 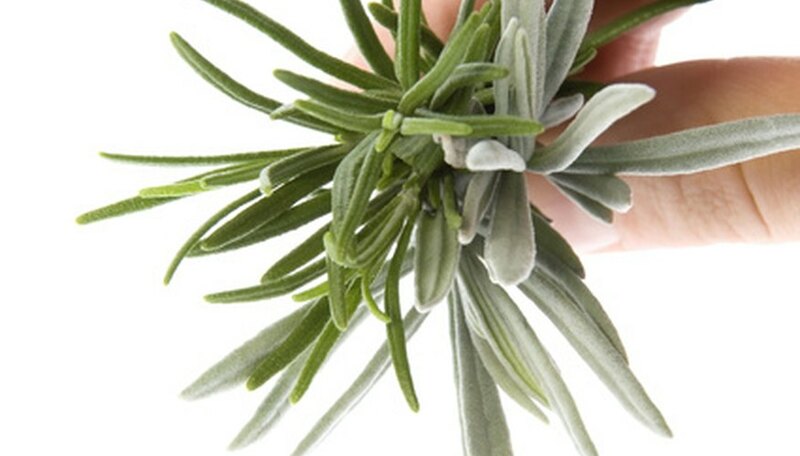 Herbs are sturdy, drought-tolerant plants that will thrive in Utah's arid environment. Even in Northern Utah, most herbs will tolerate winter's chill with a bit of extra protection. Plant herbs in Utah in spring, when the days are warm and all danger of frost has passed. Plant herbs in a spot where the herbs will be exposed to at least six hours of sunlight every day. If you live in Southern Utah, plant herbs in morning sunlight, but where they will be shaded from the hot afternoon sun. Cultivate the soil to a depth of at least 10 inches with a shovel or garden fork. Spread 3 to 4 inches of rotten manure or compost over the top of the soil, and work it in well. Utah soil usually drains well, but if rainwater puddles in your garden spot for more than four hours, add 3 to 4 inches of coarse sand. Dig a hole and plant the herb with the top of the root ball slightly above the surface of the soil. Leave 3 to 6 inches between each plant, depending on the variety. Plenty of space will ensure that the herbs get adequate air circulation, which will help to prevent pests and disease. Water the herb plant immediately after planting, and keep the soil moist until you see the emergence of new growth, which indicates that the plant has successfully rooted. After that time, water the herbs only when the top of the soil is dry. Too much water can cause root rot, fungus and stunted growth. Spread 2 to 3 inches of organic mulch around the herb plants, and replenish the mulch as it blows away or decomposes. Mulch such as shredded leaves, dry grass or pine needles will maintain an even soil temperature, retain moisture, deter weeds and enrich the soil. Feed herbs a general-purpose liquid fertilizer once every month during the growing season. Read the package label for specifics, and follow the directions carefully. Add an extra 4 to 6 inches of mulch after the first frost of the season if you live in Northern Utah. Spread the mulch over the top of the plants to insulate the roots from the winter chill. Leave the mulch in place until the last frost in spring. At that time, remove the mulch and spread fresh mulch around, but not on top of the plants. Buy healthy plants from your local nursery or garden center.